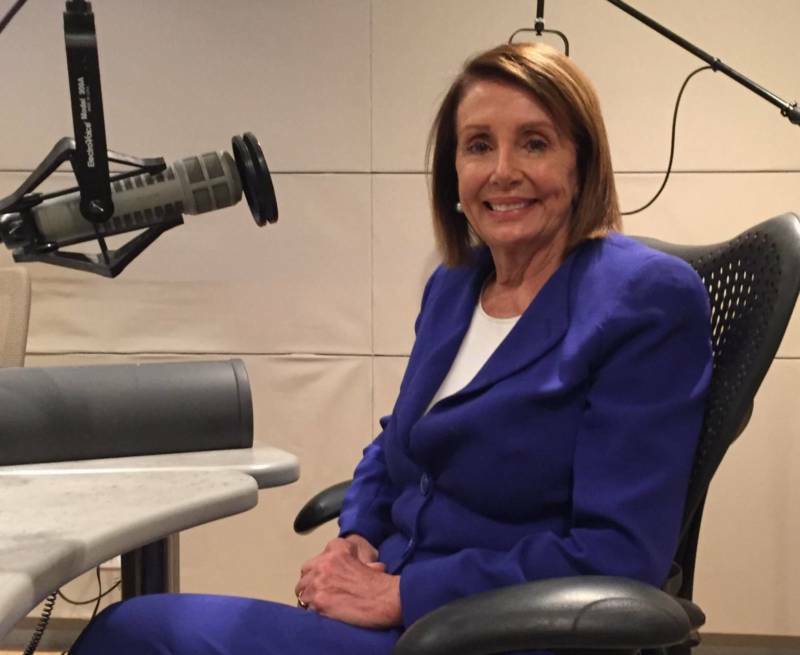 House Speaker Nancy Pelosi told KQED's Forum on Friday there were "no winners" from the recent 35-day partial shutdown of the government, and vowed not to let Republicans close it again. A fight over funding for President Trump's border wall — a pledge he made to supporters as a presidential candidate — led to the longest shutdown in U.S. history, with Pelosi saying no deals would be made until the government reopened. The shutdown ended last Friday with Trump signing a bill that provides funding through Feb. 15, raising the specter that another closure could be imminent if both sides don't find a path to a deal. "When it comes to a shutdown, there are no winners," Pelosi said. "The fact that 800,000 families had to go without their paychecks is just unconscionable. ... We have been very clear all along that Democrats support border security, and there are better ways to do it than devaluing who we are as a country. We don't have to hold hostage 800,000 families." Capitol Hill negotiations intended to reach a compromise began on Wednesday, but House Democrats emerged with a proposal that openly defied Trump's insistence that it include a physical barrier. Trump reiterated his wall demands on Twitter, and appeared to sour on the congressional talks. He told reporters in the Oval Office that Pelosi was "just playing games" and repeated his threat to declare a national emergency and transfer billions of dollars in previously allocated funds to build the wall, NPR reported. Pelosi said she resented Trump's comments that lawmakers would be wasting their time if they don't come up with wall money. "It sounds like somebody who thinks his voice is the only one that counts, and we might as well all stay home and just see what his will is," she said. Despite the hardening of their positions about a border wall, Pelosi was optimistic about the negotiations. She said Congress "can come to a compromise." "I look to them for guidance. They know the numbers," she said on Forum. "They know the values, they know the options that are there. And I think that they can prevail without any outside interference." Pelosi said she agreed with Trump on the need to stop drugs, guns and other contraband from coming into the U.S. but believes there are more cost-effective ways to do so, "honoring the value of our country" as well. "We are not going to allow them to shut down government again," she said of Republicans. "Public opinion is our biggest ally in this." Pelosi has seen her political fortunes rise due to her steadfast approach in dealing with Trump, though late last year she faced a bruising leadership fight, resulting in her agreeing to serve only four years as speaker. 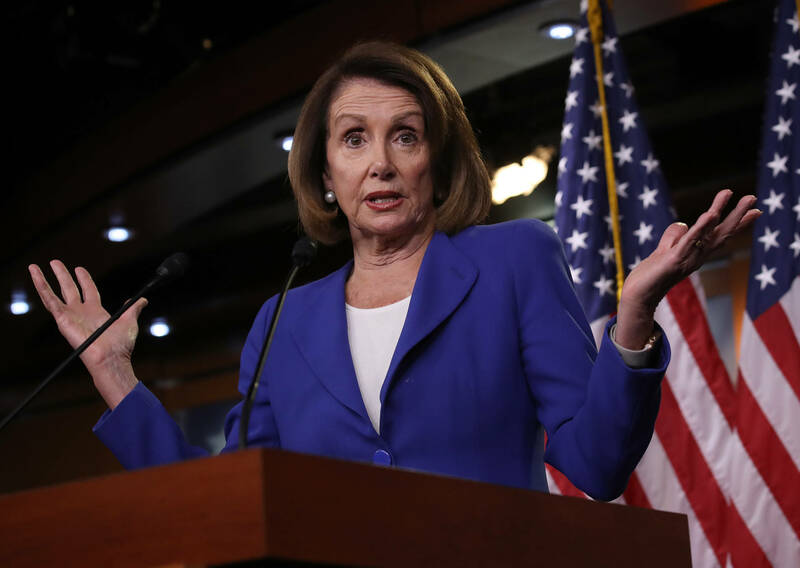 Pelosi demurred when asked if this was her last term — "we all leave sometime" — and gave a hopeful nod to the Democratic Party's future. "If anybody just looks to our leadership ranks, they will see beautiful diversity, a new generation. There's no secret sauce here. It's about building consensus within your party," she said. "Our unity is our power."